You have done your Cert IV thermal performance theory. You might have even read a few books on energy-efficient housing. So, you know that north facing windows in living areas are one of the keys to energy efficient housing. However, that is just scratching the surface of what you can learn when you have a BESTTEST¹ approved hourly dynamic simulation at your fingertips. 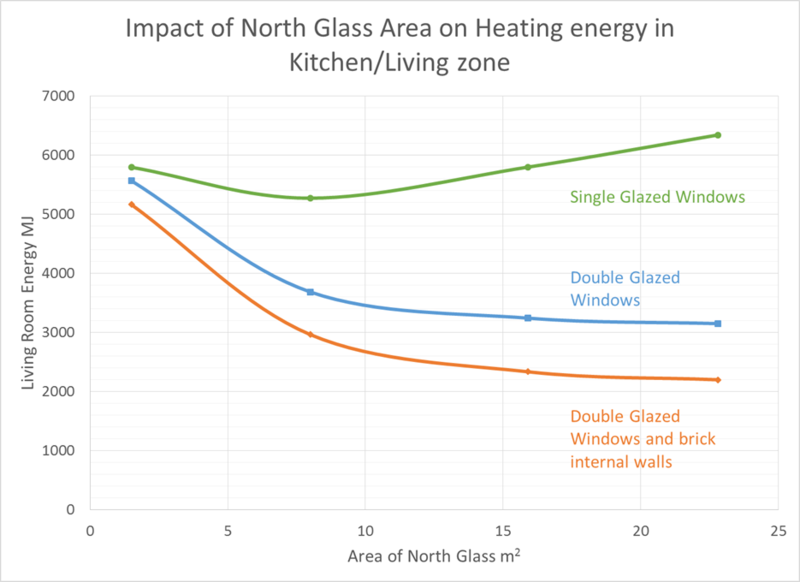 For example, did you know that if you have too much north glass, the heating requirements of a house can go up and not down? This article takes a deeper dive into just how Passive Solar works in NatHERS tools. 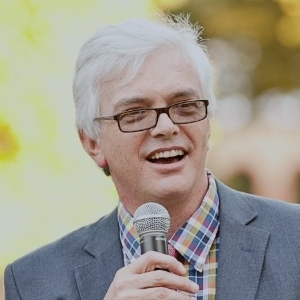 Understanding these principles can help you deliver a better service to your clients. This article is based on work I did for Sustainability Victoria’s new Energy Smart Homes handbook. It will be released later this year. If you want to learn more, look out for a CPD unit based on this work that I am preparing for Education In Building. 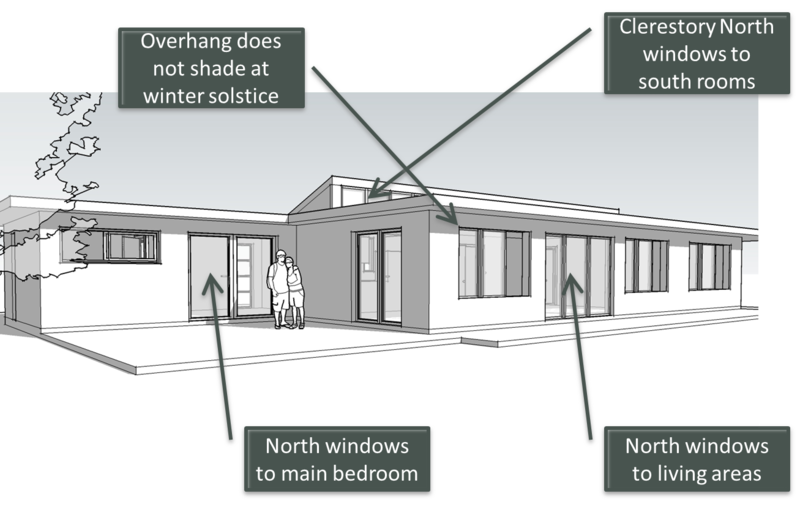 If we are going to talk Passive Solar, we need a plan. 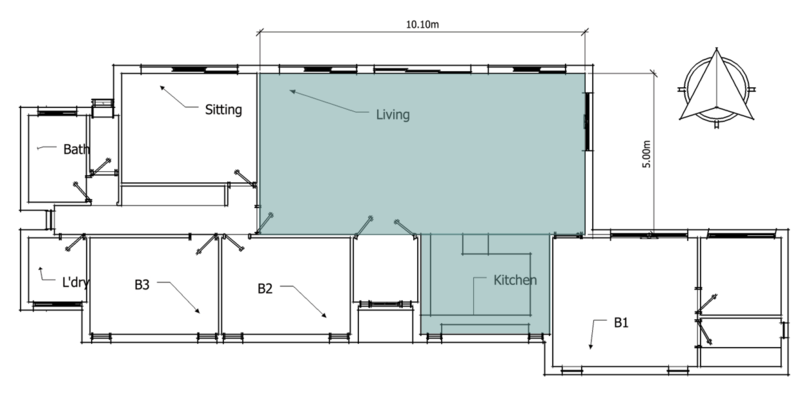 Here is a plan of a Passive Solar House Design I prepared earlier … this article is based on the heating and cooling loads of the Living/Kitchen area. ¹BESTTEST is the international standard for thermal performance simulation tools. Chenath passed this with flying colours making it one of the best in the world. BESTTEST is now part of the ASHRAE 140 standard. The house is designed to achieve 6 stars in a Melbourne climate. At 6 stars it needs the usual insulation and a waffle pod slab. The floor of the Living/Kitchen has ceramic tiles. No double glazing is needed. Yes, that’s right. 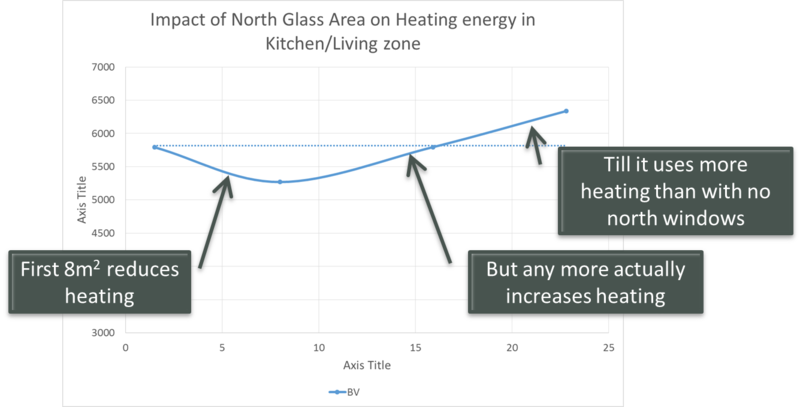 More north glass can mean more heating! Why is it so? Does this mean our thermal performance theory training was wrong? With 22m2 of north facing window, the room doesn’t need any heating. However, the temperature inside is 3 degrees higher than the same room with only 1.5m2 of north facing glass. 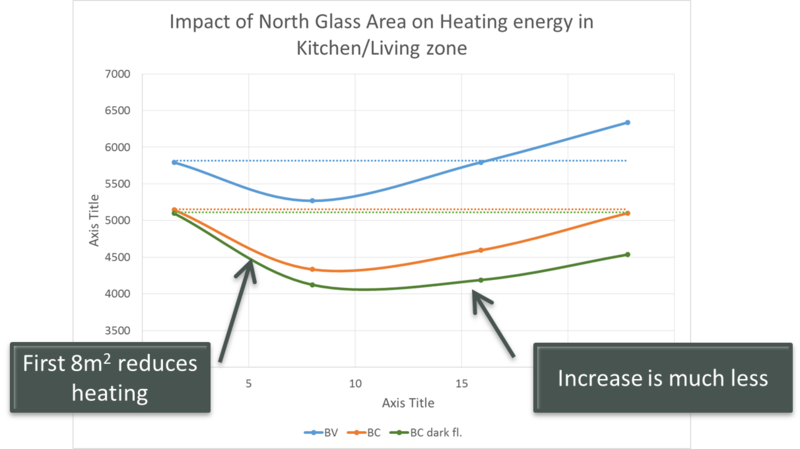 The conduction losses through the glass are 24% higher over the day than with a small area of window, so the benefits are held back by the heat loss through the single glazing. If the room gets too hot, Chenath – just like most people – will open the windows to cool down. This means you lose some of the heat gained during the day as well. Moreover, when the sun isn’t shining e.g. 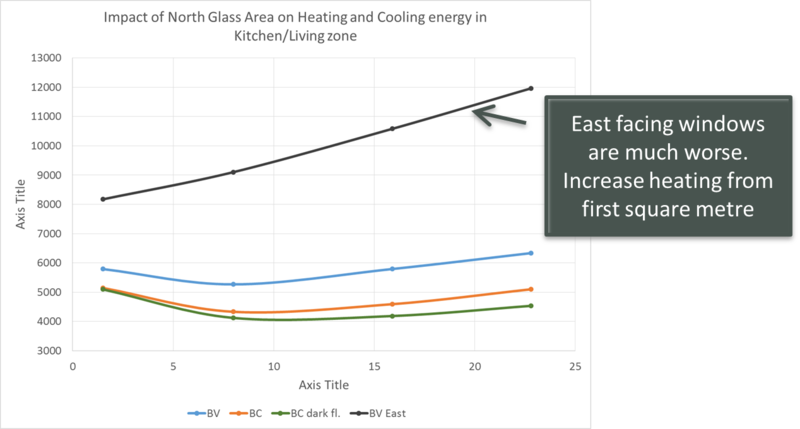 in the evening when heat losses are highest, the heat loss through the larger area of window increases the heating requirements. The north facing windows still work much better than windows in other orientations. Now, the more north facing window you have, the better the heating becomes. If you also have high mass internal walls, it is even better again. 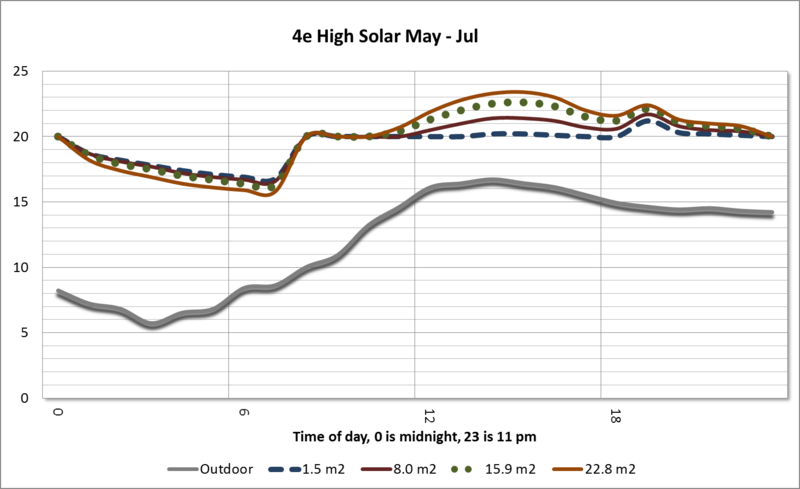 When I talk to most Architects and designers, they think that north facing windows will act like the orange line in the graph above, not the green line. 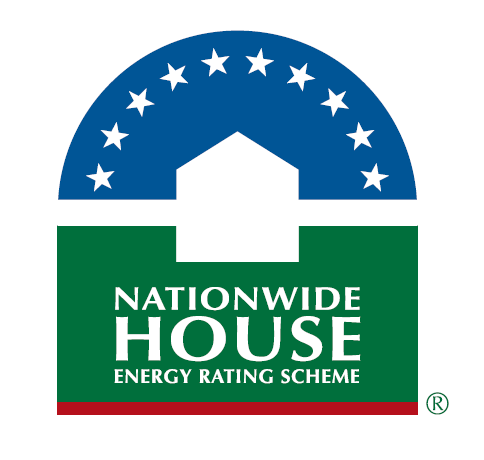 When they get back the results from NatHERS simulations that show their lightweight house with lots of north facing windows does not get 8 stars out of the box, they start to question whether the software is working properly. After all, it’s Passive Solar! However, Passive Solar is a lot more than having a plan template. It is also about having the mass to store the heat gain, so it can be used at night, and controlling heat losses. Moreover, good design is about quantitative analysis using one of the world’s best simulation engines. NatHERS tools show you how thermal performance principles work out in practice.